The CSC TT250 review. The background to my decision to get a TT250 is here. 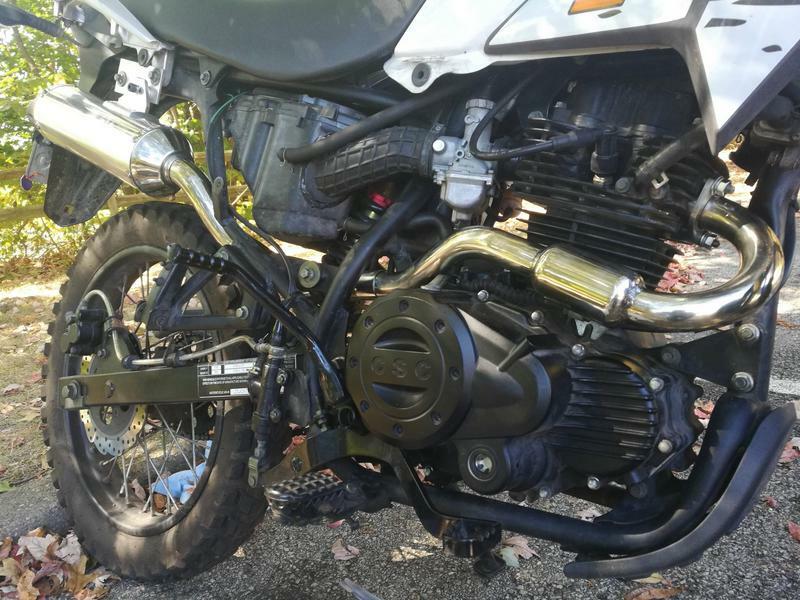 I’d put on around one-thousand miles on the CSC TT250 as the first green spots started to emerge on the the Pennsylvania woodlands. 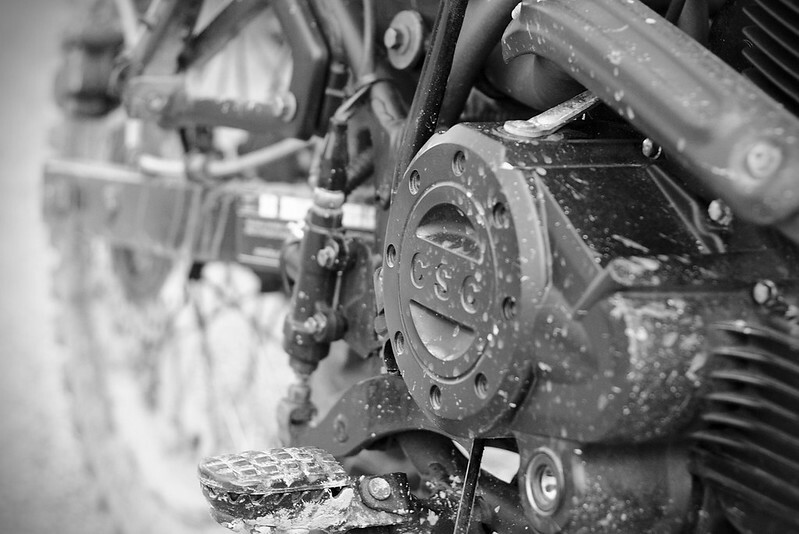 The bike held up well over Winter, and between the endless rain and salt, winter is a harsh environment for machinery. I’d gambled on the TT250 being a dependable winter warrior, and thus far it has done well. It’s surely a sign that I often choose to ride the bike on my commute over my Ninja 300. The TT250 is a well-made bike. The finish is excellent; the frame shows little aggravation from the ravages of winter, though I was decidely liberal with my application of anti-corrosion ACF-50 spray. Some fasteners inevitably dulled, but this is no different from my Kawasaki (which I rode through last winter) and generally speaking I am pleasantly surprised how durable this bike is. Cold and wet, a typical morning commute for the TT250. The engine, an air-cooled 229cc single, is absolutely superb. There’s only around sixteen horses, and about 18nm of torque at 5.5k rpm, but there’s more to it than the numbers. The power band is sweet, and considering it’s a relatively unsophisticated single, it’s very smooth. Western Pennsylvania is not short of hills, and the engine deals with everything with little complaint. I average about 55-60mpg, but this figure has increased over engine break-in, and includes my commute which is terrible for fuel economy. Once I got my carburetor dialed in (I fitted an aftermarket Mikuni VM26 clone, commonly available on Ebay) the engine started with little hesitation in temperatures right down to 17F. The stock carb was satisfactory, if a little hard-starting when cold, propably due to lean jetting, and by ‘cold’ I mean less than 40F. I chose an aftermarket carb to allow more adjustment should I fit an exhaust system, and the carbs are as cheap as chips. Tuning them is a pain in the arse, but there’s plenty of help at Chinariders if you get stuck. Stock gearing is 17/50, which isn’t too bad, but if you’re riding mainly on the street I would pick 17/47, which is less hectic at 55mph. Apropos of top speed, you could take this bike on the freeway, but I wouldn’t, unless traffic truly moved around 50-60mph. It’s superb as a back road basher, and absolutely devours city pavement. 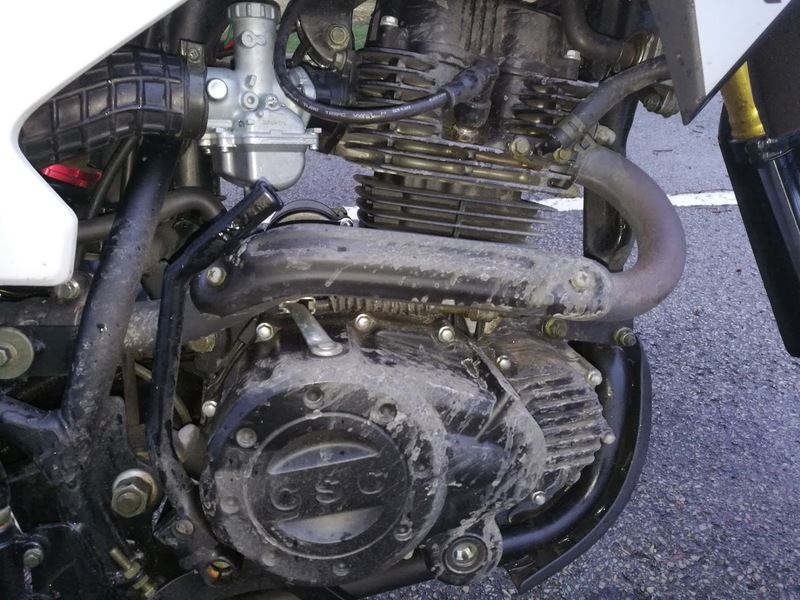 CSC offer a 49 tooth rear sprocket as an option, and I did actually purchase one, but after researching the forum and the ever useful Gearing Commander site, I went with fitting a 47. The five-speed gearbox is smooth and precise, but you must ensure you allow the gear lever the full range of movement – that was new to me and before I got used to it I suffered the occasional missed shift. The tyres are seemingly generic dual-purpose ‘knobblies’. Conventional wisdom says you should get rid of them and fit some rubber from one of the big brands that you trust. 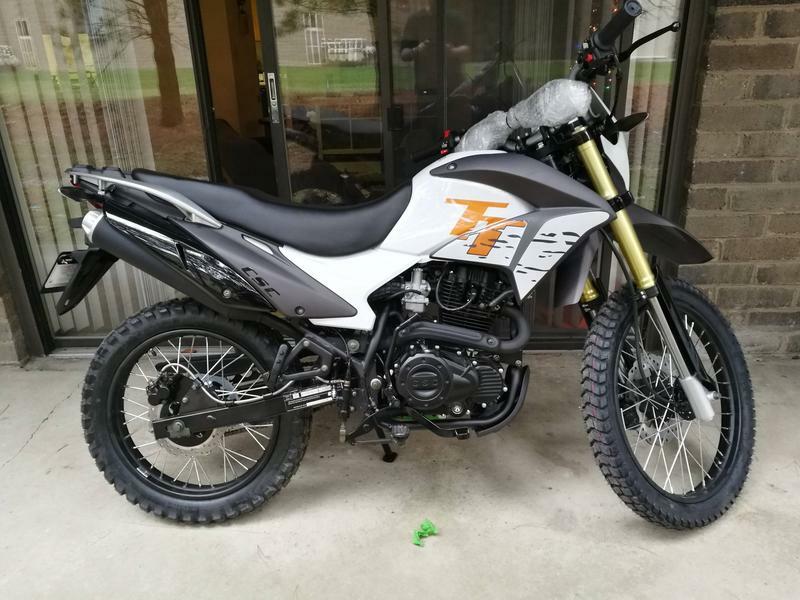 Looking at the wear rate, I’m not sure I’ll get much more than 2000 miles out of the rear, but I think that is reasonable for a general-purpose tyre that will do asphalt and any off-road riding the bike is capable of. 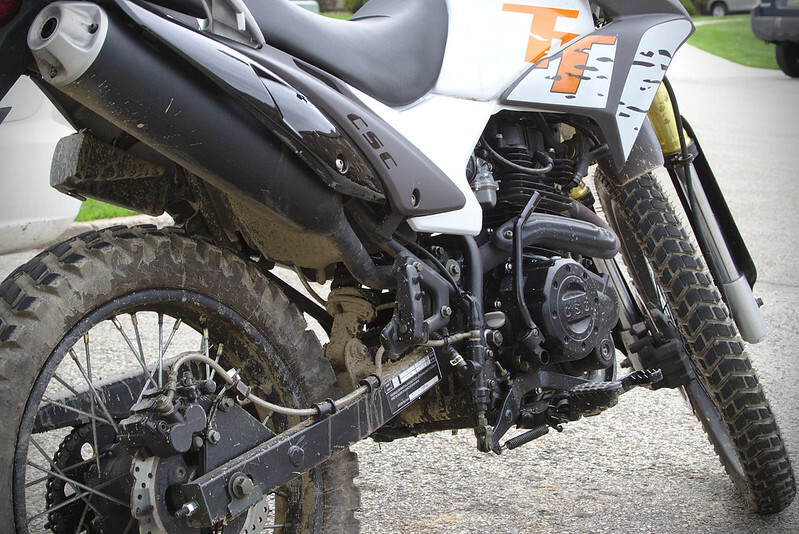 The TT250 after some fun on a muddy forest trail. 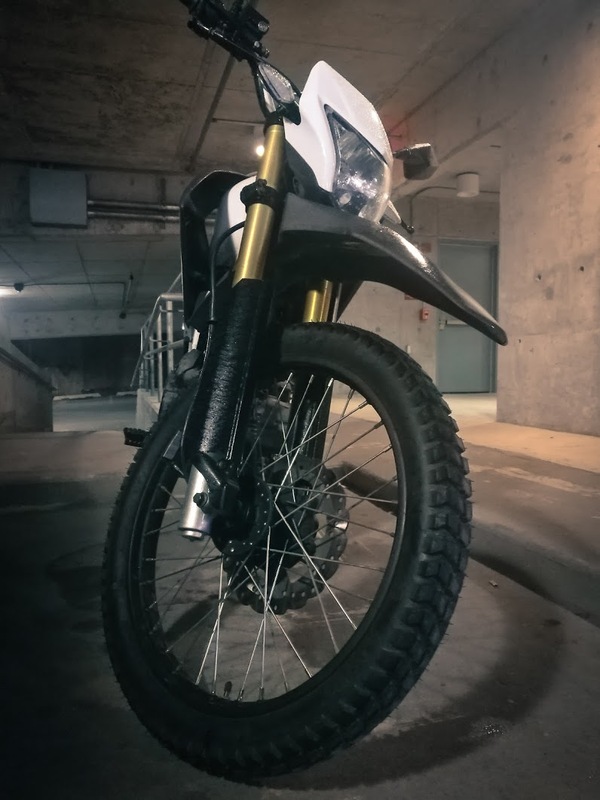 The TT250 is exceedingly comfortable in stock form; I’m 6’3″ and around 210lbs, and the rider triangle is pretty much perfect for me. I didn’t realise how cramped I am on my Ninja until I started riding the TT250 frequently. The stock seat is very comfy. I haven’t ridden the bike that far, but on many weekends I’ll routinely spend a couple of hours riding pretty hard, with no discomfort. Handling is superb; really very, very good. It feels at times like a giant mountain bike. It’s very easy to hold a line, and turn-in is sharp, perhaps not surprising on a bike so light. Off road (I am by no means experienced here) the light weight and easy manners translate into a stable, well-mannered platform. 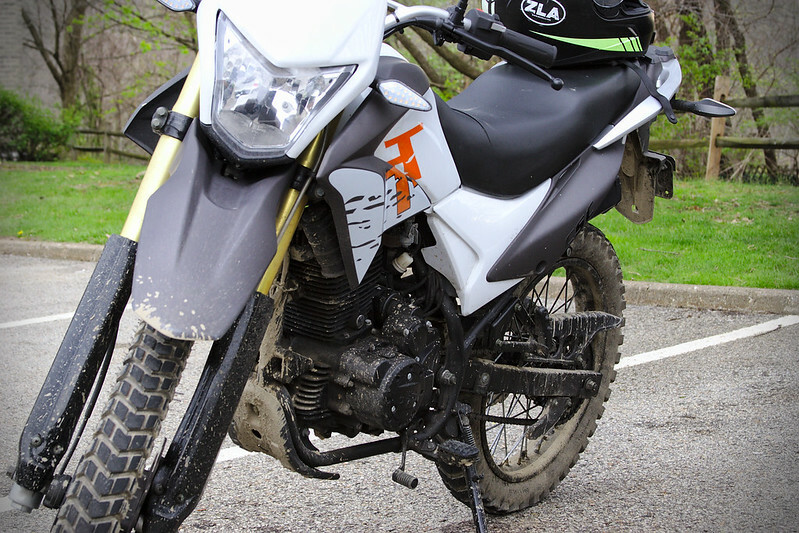 The bike encourages you to have fun, and this really is the strength of a dual sport. On some back roads and see an open trail, or a gravel road? What about that nasty looking back road? Go check it out. It’s great. The brakes are well put-together. You get steel-braided lines (I don’t even have those on my Ninja!) and lever feel is firm, but if you’re giving them a workout (for example: aggresive riding on downhill twisties) and it’s a hot day, they can fade pretty quickly. 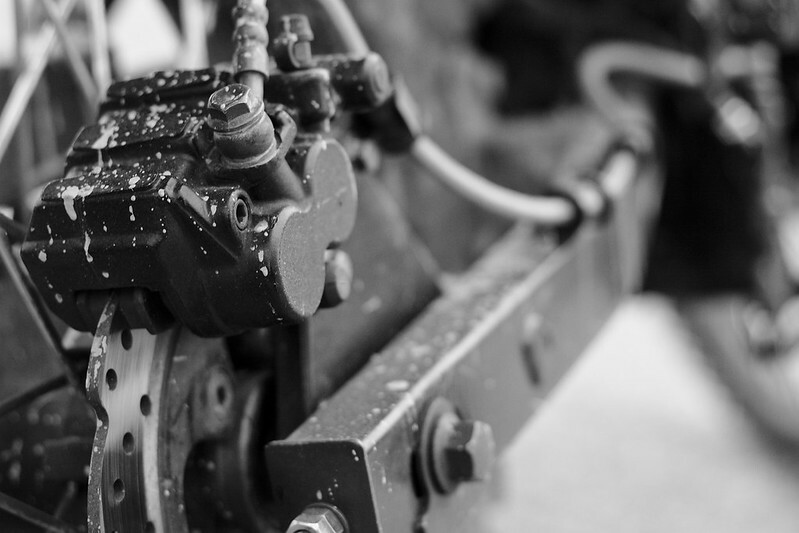 Not an issue if you’ve trained yourself to use both brakes, but if you’re heavy on the front brake only (like a prototypical supersport rider), they’ll fade. They do recover rapidly. Of course, all bikes will do this to a degree, but it’s more pronounced on my TT250 for sure. My front rotor has also had a little runout from day one, and I think I will be replacing it soon as I believe it’s getting worse. The clutch isn’t great. I have probably been a little spoilt by the Ninja 300’s clutch, which is just superb. The TT250’s clutch is durable enough, and I suspect it’s a consequence of uprating the clutch to cope with the 229cc’s higher torque (the original CG was 125cc) but once the engine is up to temp, it can be a grabby, snatchy affair until you get used to it. I struggled for a while to get the lever adjustment right and actually ordered a replacement clutch cable, as I wasn’t certain mine hadn’t prematurely stretched too much. In fact, the adjustment is very particular and in my case is better done with the engine warmed; setting it while cold will result in very slight drag once the engine is warm. 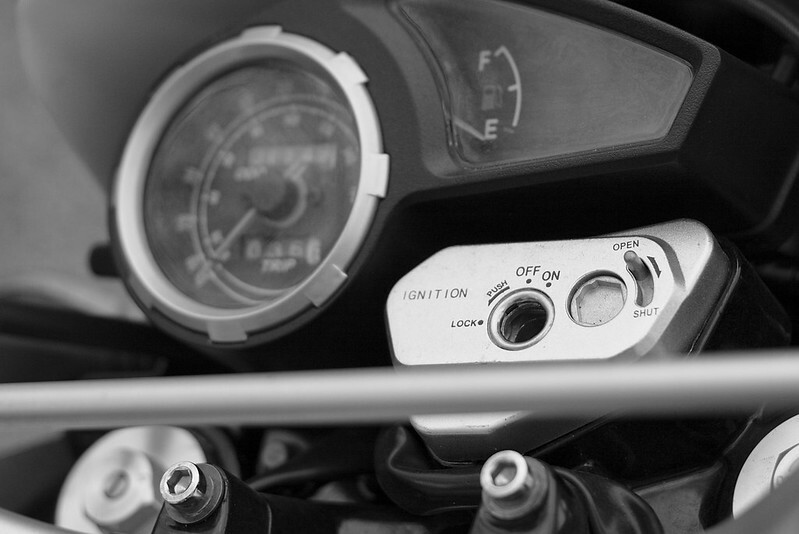 These issues won’t present themselves most rides, but if you’re in stop-go traffic on a warm day, the clutch pack’s tight packaging and air-cooled character of the motor will begin to make themselves known. Get used to fighting a little bit to get neutral, and I’d recommend 15w40 synthetic (once you’re past break-in) if you’re running the bike in a city during summer. Everything here is a function of where I live, and the fact that I ride my bikes whatever the weather. Except ice and snow. Sometimes even then. I’m British, after all, and we’re a bit daft like that. The wheels look great, but the spokes aren’t stainless and it’s a fight to keep the weather off them. At some point I will probably replace them with stainless spokes (the rims seem fine), of course, this will cost, but it’s a function of the climate here, and I need something that will take the weather a little better. I don’t think this will be an issue for any owners that aren’t in the rust belt and ride all year round. I did strip one of the sprocket carrier bolt holes when swapping the sprocket out; I suspect this was because they were very tight from the factory. It was a straightforward repair, but I’ve read of a couple of other instances of this on the Chinariders forum. The bolts are hard, M10x1.25 steel and the hub is pretty soft; I think studs might have been a better choice. Still, if you potter about with bikes, this isn’t unknown by any means. 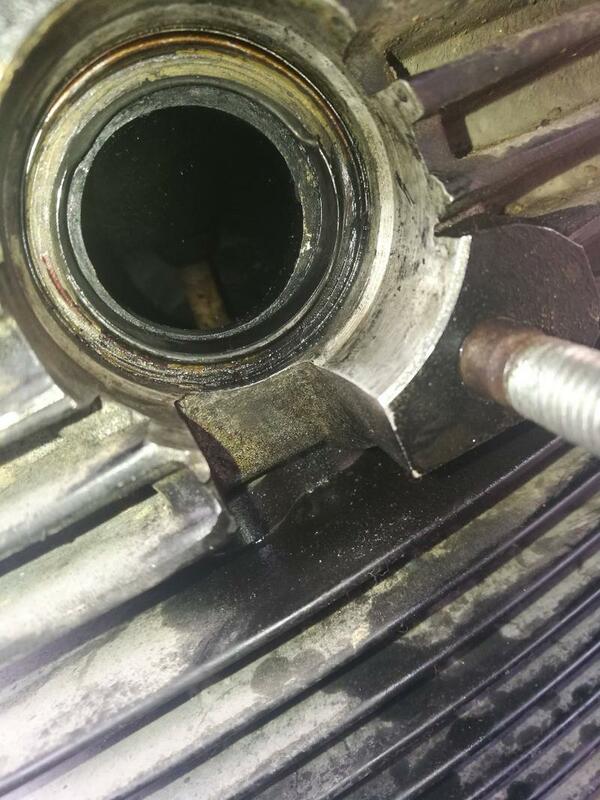 Also – and this is by no means an uncommon problem on most OEM fitment using steel pipes – the stock exhaust header is looking worse for wear, and I will probably replace it soon with a stainless system, but this is a largely cosmetic concern. Unreservedly. You really can’t go wrong, and I’m looking forward to many more adventures on the bike, especially now the good weather is here. Put it another way, I’m strongly considering an RX3 Cyclone as my next bike, possibly as a replacement for the Ninja. That’s my faith in the company’s product.